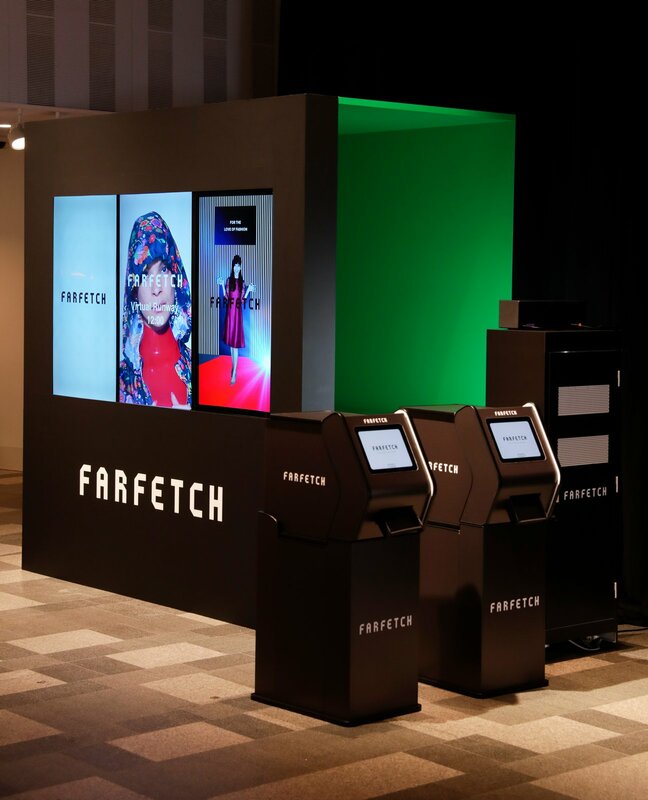 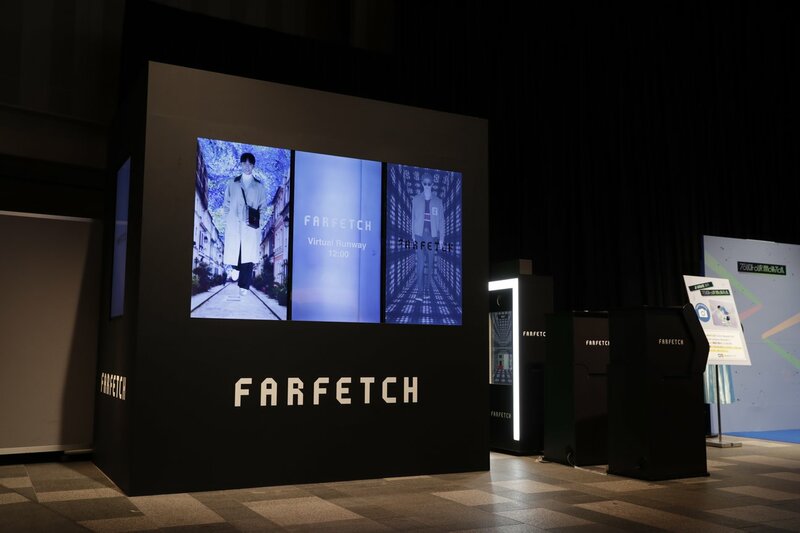 Generosity took charge of the overall planning and production of the “Farfetch Booths” at Vogue Fashion’s Night Out Tokyo (FNO) – a festive shopping event staged this year on September 15. 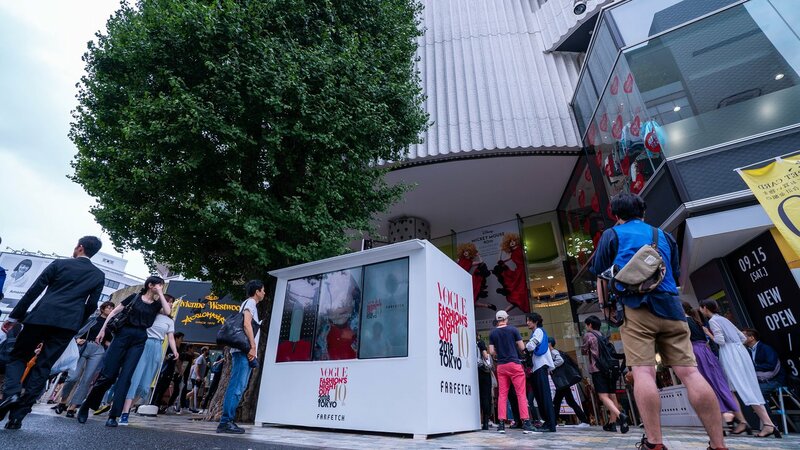 Furnished at these two unique booths, strategically placed at Space O in Omotesando Hills and in front of the entrance to Laforet Harajuku, were “virtual runways” utilizing #MagicClip. 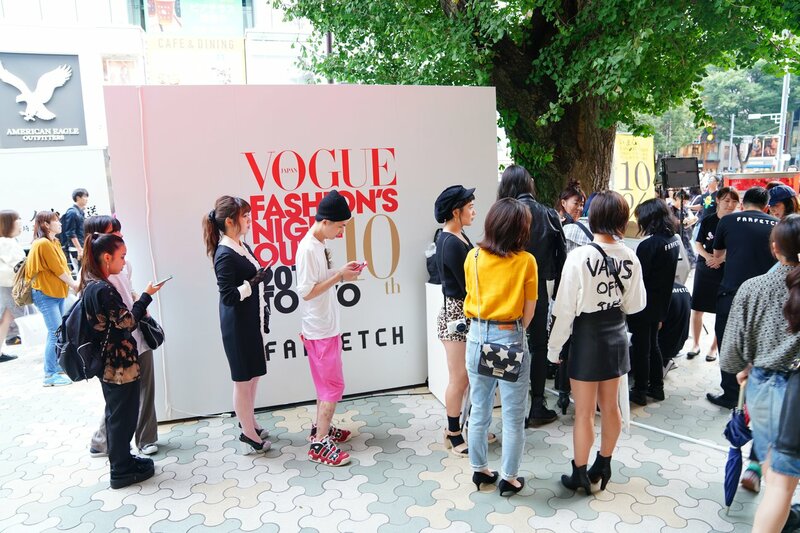 This social media linked initiative rendered it possible for visitors to shoot video images of themselves strutting along as if being actual models. 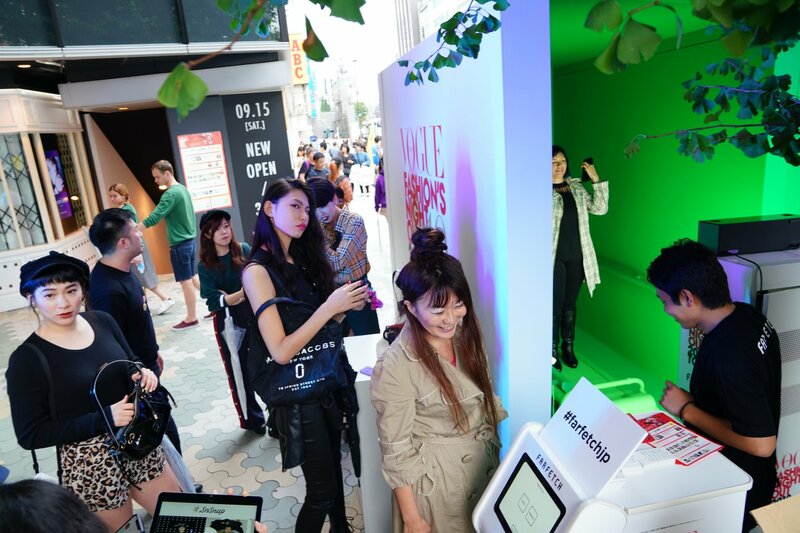 It was also instilled with a lottery drawing function, offering chances to win deluxe presents when uploading such clips onto social networking service domains. 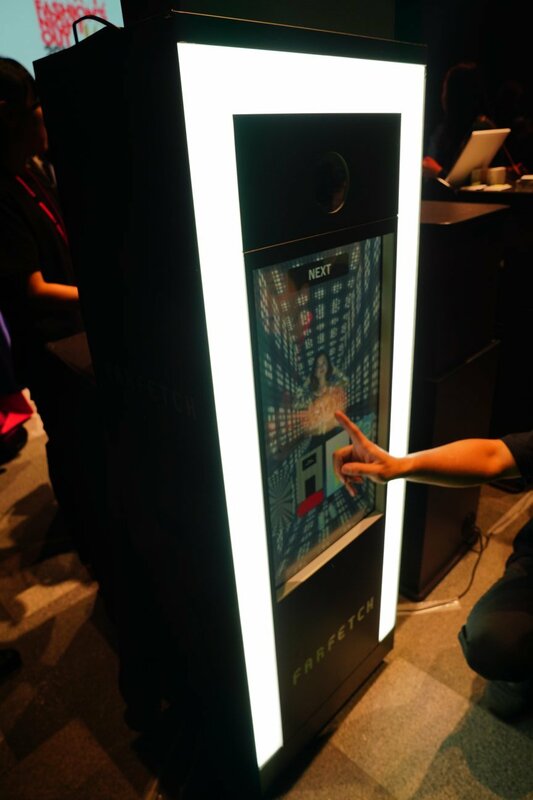 As an added touch, the video images were also projected on several large displays arranged in rows, in an extra push to garner even keener interest from event goers.